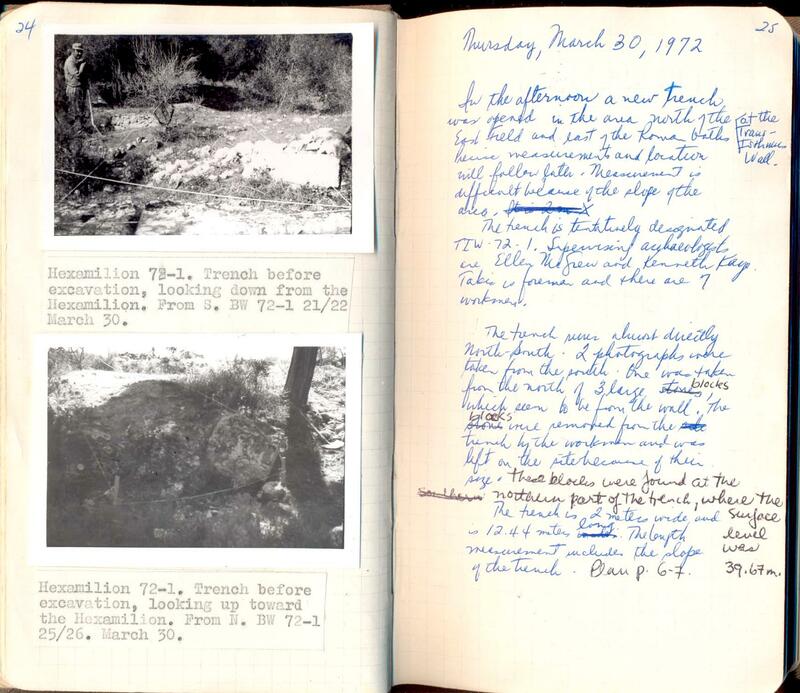 Page from an archaeological excavation notebook, 1972. The Archaeological Resource Cataloging System (ARCS) was created by the College of Arts and Letters at Michigan State University in partnership with MATRIX: The Center for Digital Humanities and Social Sciences. Thanks to the support of an NEH Digital Humanities Startup Grant, a small research team created this open-source application to help ease the transition of archival research into its new electronic form. Electronic technology is indispensable in the world of archaeological research. However, this electronic form has raised issues for archaeological information recorded before the digital revolution. ARCS is a web-based interface that will allow researchers to upload, visually scan, keyword, sort, and link together digitized copies of photographs, drawings, and documents that are often handwritten, perfect for pre-digital world research. Unique to ARCS is the crowd-sourced approach of the application, which will encourage collaboration among scholars and assist in projects that lack a full staff of dedicated archivists. The program is useful to classical archaeological projects as well as to any research archive containing primary evidence that can’t be easily read by a computer. It allows projects to store, annotate, organize, and display its primary evidence and research to reflect its own identity and organizational structure. ARCS replicates the original appearance of documents but allows them to be searched and linked to other source types. The application uses keywords to tag each document, which become both search terms and linked to other resources with similar tags. Additionally, ARCS will allow users to add keywords and annotations easily, and the program will generate a history of changes for each document. ARCS has been implemented at the Ohio State University Excavations at Isthmia as well as tested in courses at OSU and Michigan State University to teach students about the archaeological process.